We visited this park on October 31, 2017, and stayed for 2 day(s). The Santa Fe KOA Journey was our first stop after leaving Denver, on our way to this year’s wintering grounds in Arizona. KOA’s in general get a bad rap by some, but we’ve always found them to be dependable places to spend a night or a week. This one was no exception. 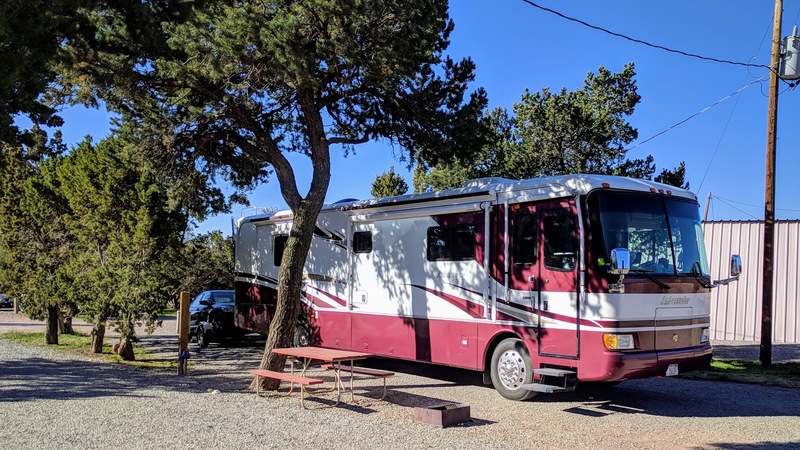 We chose this particular KOA for two reasons: Most important, Jerry was tired and needed to get off the road; And secondly, we wanted to spend one afternoon exploring Santa Fe. It wasn’t a cheap date, but after Colorado RV park prices, it didn’t shock us too much to pay $51/night even with our VKR discount. We had a long, pull-through, gravel site with full hook-ups. Large, mature trees shaded the site. We had a picnic table and a fire ring, but used neither. Santa Fe KOA Journey had all the expected amenities: nice laundry room, playground, dog run, game room, and store. The owners were nice and were in the process of preparing to close the park down for the season. We pulled in just before sunset, which is late for us, set up quickly and noticed that our 50 AMP site was on the low side of acceptable voltage. This happens fairly frequently at all kinds of campgrounds so we know to be cautious in our use of appliances. 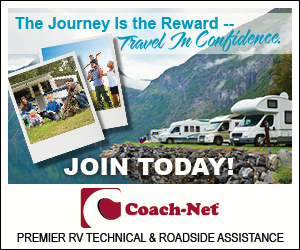 If you have not yet invested in a simple plug-in RV voltmeter, please do so. Voltage that is too low can cause a brown out and damage your appliances. There was zero Verizon coverage at this park, but a good AT&T signal. Once again, our AT&T Mobley saved the day. 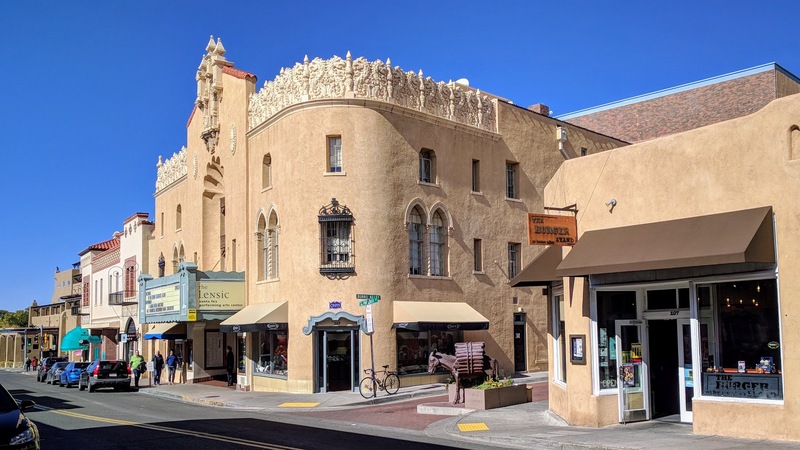 The historical Santa Fe Plaza was all we had time to explore in one afternoon. We parked in the city garage, where parking was the cheapest, and walked to lunch at La Plazuela. We each had a delicious sandwich and iced tea in their unique dining room, then took a stroll to admire the architecture, visit a few stores, and see the Basilica. I’d like to return to Santa Fe for a longer visit and with money to spend. This time we were mostly content with window shopping, and left knowing that we had only scratched the surface of what the city offers. Visit the Santa Fe KOA Journey website. Return to all RV park reviews.